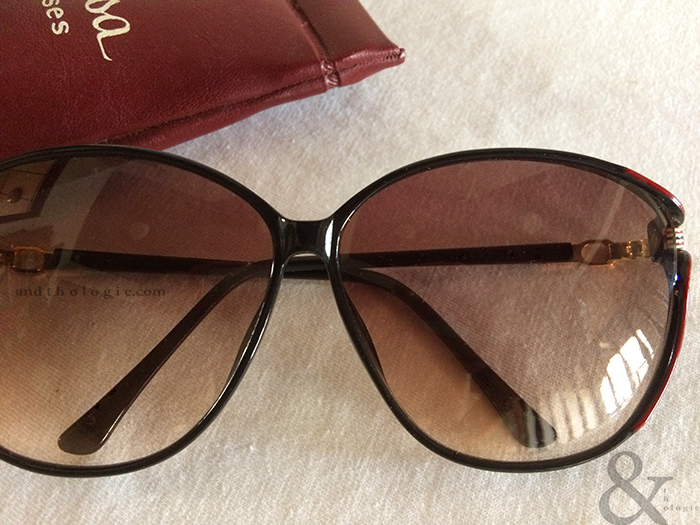 Recently, while rummaging through a stack of sunglasses, I found exactly what I expected to find… sunglasses. They were mostly from the era where glasses were invariably large; an era where you wouldn’t find an eye-sized pair of glasses [you know, one of those that are no larger than the size of your eye] let alone sunglasses anywhere. Back to the sunglasses I found, most of them were my mom’s and I found a pair that she rarely used, not even when it was new. She doesn’t remember when she bought it; she said maybe around the 80’s or early 90’s. There’s “Monalisa Sunglasses” printed on the case. I don’t remember seeing that brand nowadays, probably because there is none around. 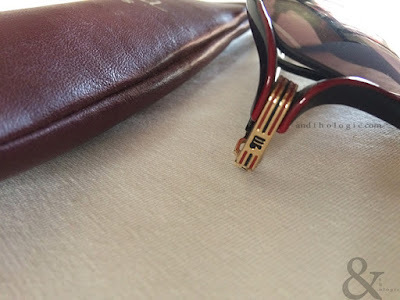 I was curious, so I did a quick online search but there was little information; except that there are a few individuals selling variations of the Monalisa sunglasses, and a range with the same name from a completely different brand called Clariti Eyewear. M is for Monalisa... and a bunch of other things. Anyway, the Monalisa I have is made of a type of plastic. The shape is very retro, a butterfly shape; the colour is black, with red accents on the temples; the lenses are in gradient brown, which I really like. So, the thing is huge. I mean it covers almost half of my face. You’d think a big frame like this would be heavy, but it’s not. It’s light and comfortable enough and barely puts a strain on my nose and ears. I have to admit that I haven’t worn the glasses long enough to make an accurate assessment, but I rarely use sunglasses a few hours straight. My mom is generally quite careful with her stuff so these glasses are still in good condition, except for a little spot on one of the lenses that I can’t get rid of. I have worn them outdoors a few times and once, on a very sunny day, I was quite shocked to take them off to find out that the sun was really blazing. From that experience, it’s safe to say that the sun-blocking is effective - the light I mean, not the actual sun. Anyway, the Monalisa is mine now but my mom doesn’t know it yet. I mean I will tell her eventually. Or I could just keep quiet and let it slowly sink in to her that it’s mine now and there’s nothing she can do about it. - How much would you spend on a pair of sunglasses? I saw a pair by Matthew Williamson at Asos but thought it was too expensive, not even when it was on sale. 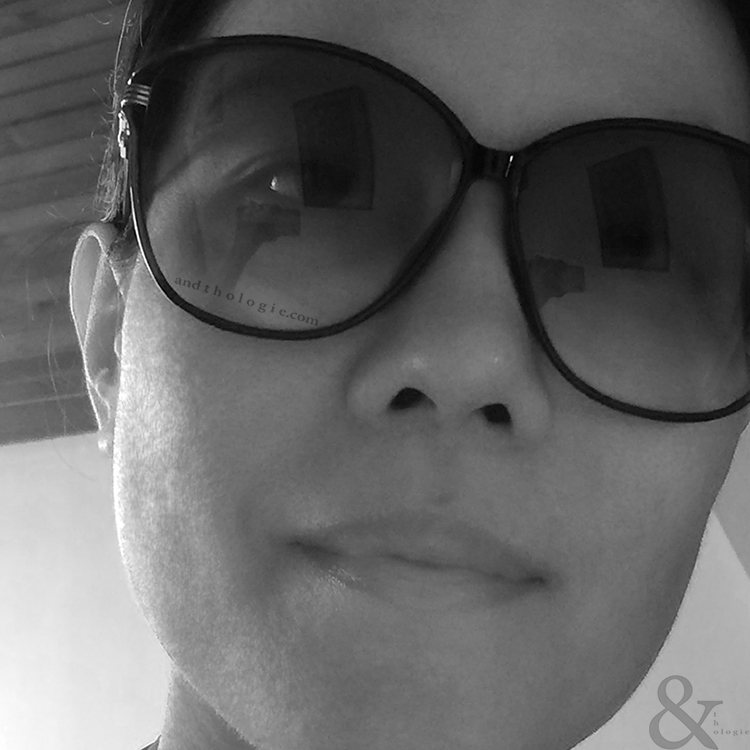 But I thought the sunglasses were so ‘me’ - the transparent frames, the red accent around the lenses, and the round lenses. But I could not justify the price, I almost bought them but didn’t. And now that it’s not available anymore, I feel a bit weird. - On another note, it’s not common you find a brand dedicated to reading glasses. I stumbled into one called The Book Club Eyewear. I like the designs they have, and even more, the names of their glasses, such as A Tail of Two Kitties, Bothering Sights, and Cents and No Ability. You don’t have to have a prescription to buy them and you can even buy them without the magnification. My God, I am trying to buy for my mom this MONALISA. Many years ago she boughed in India and she loved it. It was in the 80 years... My mom worked in the Zoo in Ukraine and she travel to India to have some experience about exotic animals. She told me that glasses was very expensive in that period , but she fall in love with it. It's a pity , she used this glasses just a little, because someone stolen it. Till nowadays I couldn't find it. O would like to buy for her, I know that she will be very, very happy!!!! Nothing makes me happy then happiness of my mom. I'm quite puzzled myself as to where the brand has gone to or where it originated. I think I read somewhere that it was made or designed in Paris but there were not many information out there about this. I assume the brand has gone out of business altogether. But you're right my mom said that the price was compatible with Christian Dior sunglasses which she has a couple of, but of course I could not believe her. As to buying one, I'd suggest flea stores or be on the lookout for individual sellers at places like eBay or Carousell. Sorry I can't be of much help.